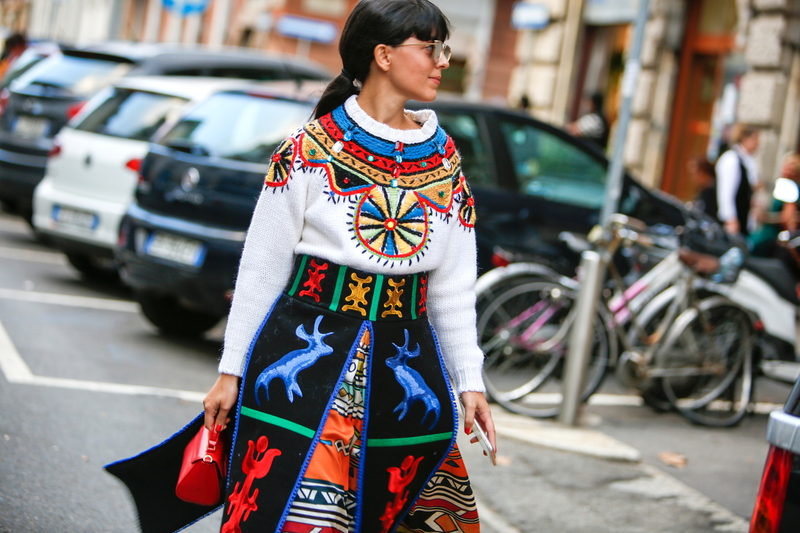 Ethnic style survives the summer and will be a huge protagonist for this fall-winter 2016. Colors, braiding, tassels and embroidery: tribal prints are perfect to improve the mood of the darkest and coldest days! 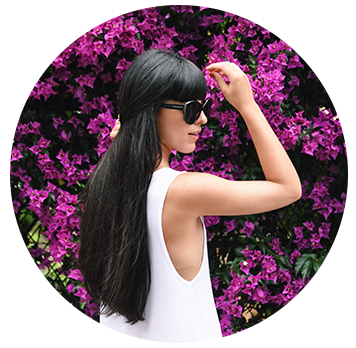 Today I show you a very particular look and I already know you love it or hate it… I absolutely love it! The sweater is handmade in soft wool and the neck decorated with embroidered patterns in the colors of blue, red and ocher. The skirt is long and has a A-line silhouette, highlighting the waist with a belt that has black velvet panels with embroidery, in contrast with the base printing. I completed my ethnic chic look with refined details. Ankle velvet boots with embroidered wings and heels in transparent plexiglas, high about 5 cm: so soft and comfortable (although I have worn them throughout a long and super busy day) that have become my new favorite boots! For the bag I chose a red leather mini satchel with appliqué lips, which I hand carried (but you can also wear crossbody, being equipped with a comfortable shoulder strap). This is the outfit that I wore for the first day of Milan Fashion Week. The time here seems to goes even faster than in New York and in the blink of an eye I found myself from Fay fashion show to the ones of N21, Francesco Scognamiglio and, last of the day, Roberto Cavalli. I remind you that you can find the live video from backstage, fashion shows, presentations and events on my Instagram Stories and unpublished pictures on Instagram @lauracomolli! What do you think of my ethnic chic look? Good Friday and happy weekend to you all! Thank you Hotel Chateau Monfort for hosting me!